Back in 2002 with the release of The Bourne Identity, the Bourne films were seen as something of an anti-Bond - the antithesis of 007's gadgets, girls and fantasy plots. Yet since the Daniel Craig era of Bond, Bourne has had stiff competition. The Bourne Legacy, the fourth in the series, proves that Bourne still has some catching up to do in comparison to the triumphant Skyfall. Bourne's focus on gritty realism is what set the series apart. However, this new film uses a twist in the original trilogy to allow for a new take on familiar themes and a seemingly plausible way to produce more films in the series without simply changing the lead actor. The focus is on the notion of reprogramming human genetics, a process achieved through simple pills. When field operative Aaron Cross (Jeremy Renner) uses up his supply of these "chems", he is set on the run with an innocent scientist (Rachel Weisz) to finally resolve his need to stay enhanced - a necessity to his survival. 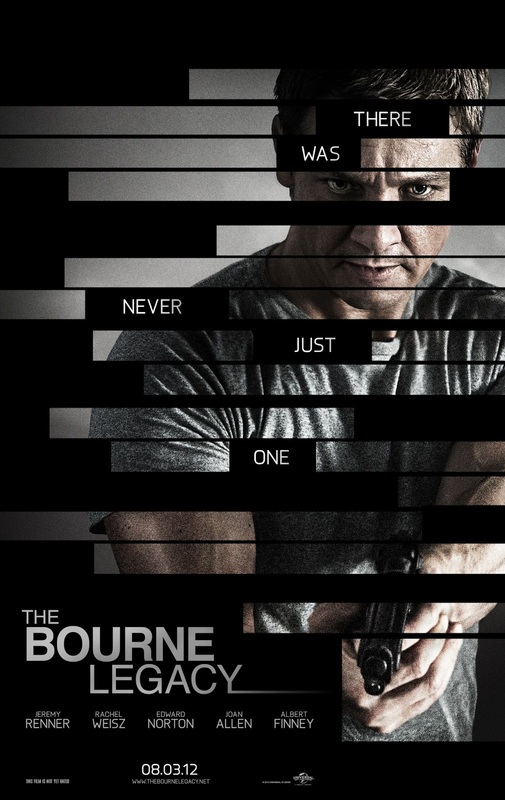 Is this really in keeping with the Bourne series? The overall premise of the film is weak and descends too far into sci-fi. The plot has similarities to Blade Runner - just as the replicants seek to meet their maker, so too must Cross uncover the secrets of the CIA programme that made him. Cross's reasoning is so single-minded, Renner is left with little to do but robotic action in a fantasy plot that strays too far from the realism the original Bourne trilogy sought to portray. The narrative speeds along at a frantic pace, jumping between action set-pieces in different time frames, whilst assuming a certain prior knowledge of the previous films. It's initially dizzying and takes too long for the puzzle pieces to fit into place, leaving us to simply admire the action, which itself is merely a facade to cover the weaknesses in the plot. Still, the action is typical Bourne fair with rooftop chases, fight sequences and car chases, all filmed with hand camera for that extra "in the moment" touch. The final sequence in particular has a Terminator feel to its lengthy chase that's thoroughly gripping, whilst the musical score suitably ramps up the tension. Action fans will find plenty to enjoy here. The ending arrives all too suddenly, failing to provide answers to many questions earlier posed - an open-ending that leaves the narrative limp and dissatisfying. It proves that The Bourne Legacy is little more than a shallow excuse to extend the series with even more inevitable sequels, albeit with some enjoyable action along the way.